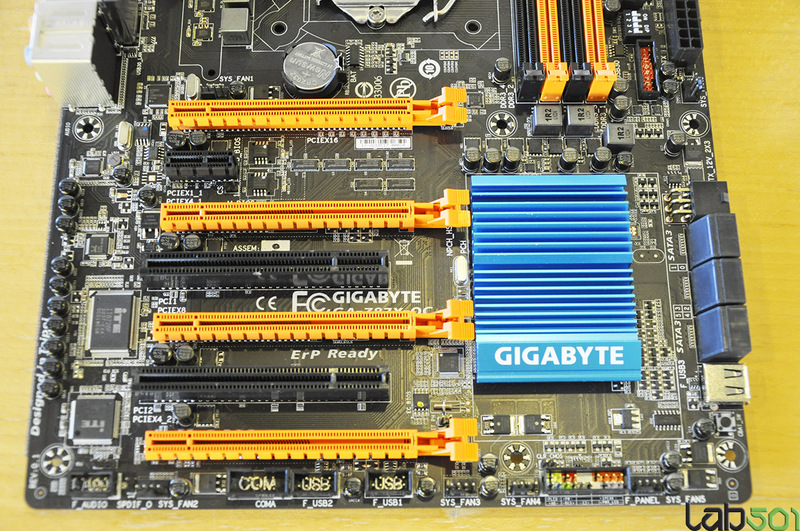 Gigabyte is one of the mainboard manufacturer’s who showcased their upcoming Intel Z87 motherboards at CeBIT 2013. Their latest creation is the GA-Z87X-OC and GA-Z87XA-UD5H Z87 motherboards which are designed specifically for overclockers and feature much goodies onboard. The Gigabyte GA-Z87X-OC comes with an 8 Phase Solid VRM which makes use of DRMOS, International Rectifier MOSFETs which provides overclocking best stability and reliable power supply. 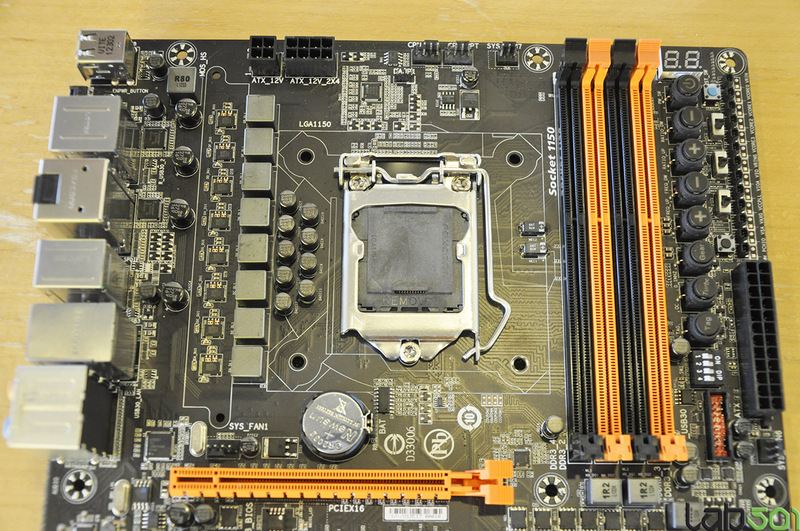 The motherboard has a orange and black design scheme and it can be noted that since it has no heatsinks yet, the motherboard is still in its Eng. state, we will see the complete version of the board a bit later around Computex 2013. 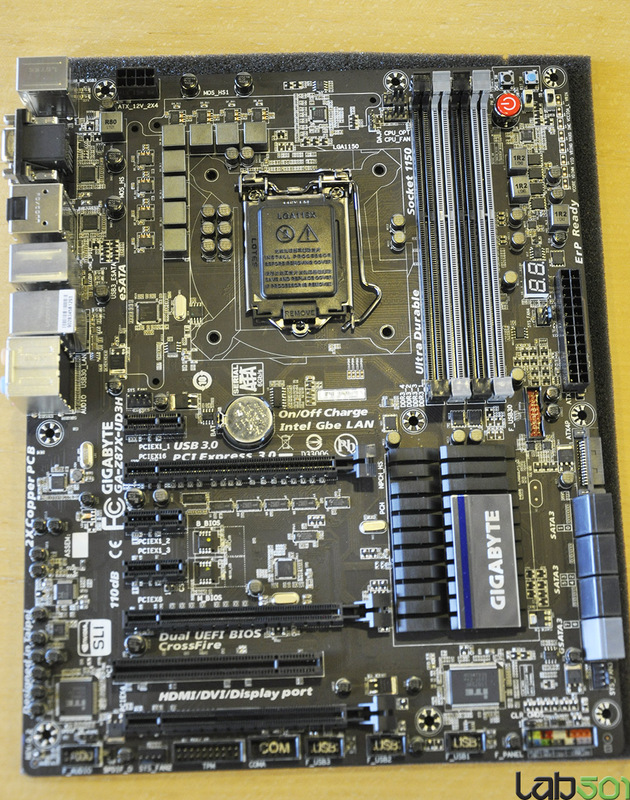 As for features, the GA-Z87X-OC has several buttons for overclockers on the board. These include BCLCK, Turbo, Gear, Power switches at the side of DIMM slots, Voltage measuring points, Debug LED and a Dual BIOS switch. There’s also a LN2 switch which can disable the Dual BIOS option on the motherboard. The Z87 PCH is covered with a blue heatsink which is also not a final design, comes with Four PCIe 3.0 x16, 2 PCI and a single PCIe x1 slot. Power is provided through an 8 Pin + 4 Pin connector which adds additional juice to the CPU for overclocking. 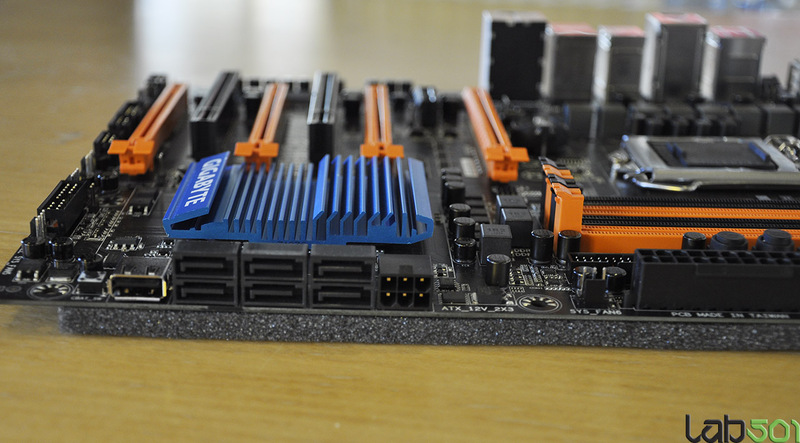 The LGA 1150 socket is built to support the upcoming Intel core Haswell processors which would launch on 2nd June 2013. 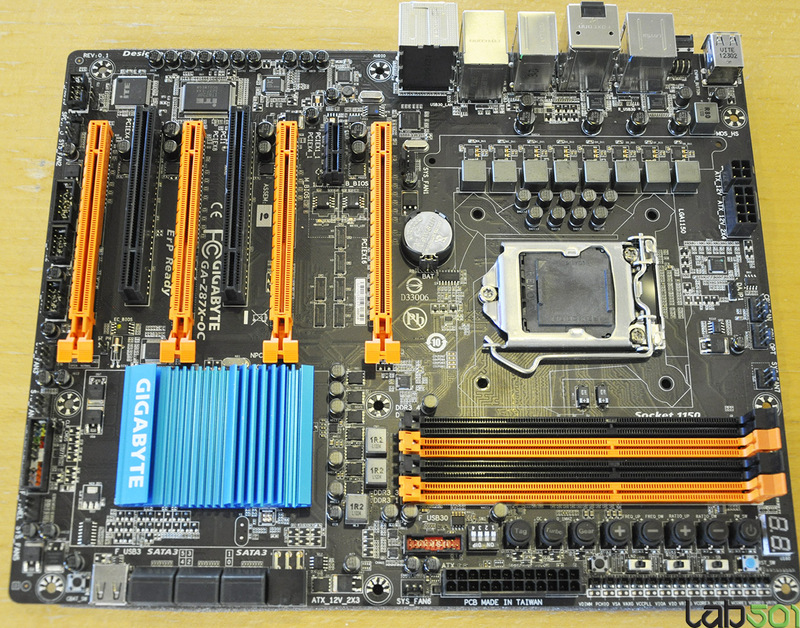 Several other Z87 LGA 1150 motherboards which include GIGABYTE GA-Z87X-UD5H, GIGABYTE GA-Z87X-UD3H and GIGABYTE GA-Z87X-UD3H were also showcased at the Gigabyte’s CeBIT 2013 booth. Information and pictures can be found at LAB501.ro.